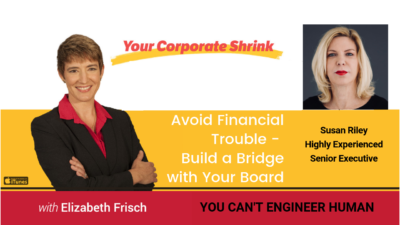 In this episode, Susan Riley, a highly experienced senior executive, talks about how a company leader can communicate with a board when it comes to financial issues while building a mutually respected relationship between all parties. 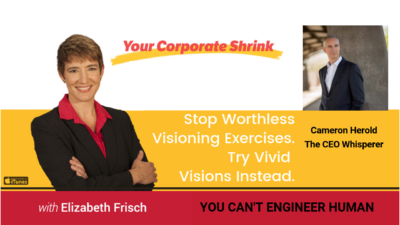 Stop Worthless Visioning Exercises. Try Vivid Visions Instead. In this episode, Cameron Herold, The CEO Whisperer, shares why you need to stop worthless visioning exercises and how to try vivid visions instead. 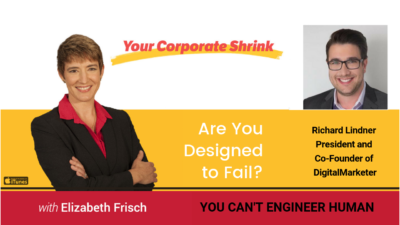 Are You Designed to Fail? In today’s episode, I interview Richard Lindner, the President and Co-Founder of DigitalMarketer.  He discusses how to help people achieve their goals. As a CEO, he understands how to lead a highly successful company in corporate America. In today’s episode, I interview Kristin Faulder, CEO and Founder at Heurisay. 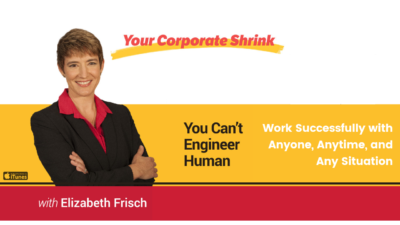 She discusses how to recruit the best employees for your business. Blaming the economy isn't going to change your ability to do this. Your baby is UGLY! How to tell the truth without getting killed in the workplace. 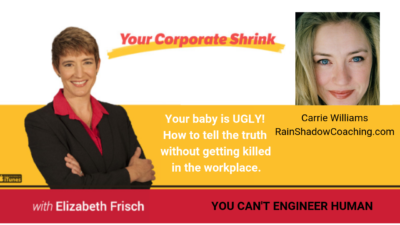 In today’s episode, I interview Executive Coach, Carrie Williams, who shares the weird exercise she uses with corporations and executives in the boardroom – Your Baby is UGLY Game! 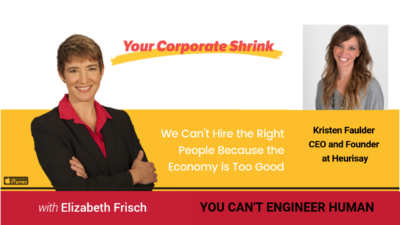 In this FIRST episode, Elizabeth Frisch, the founder of Your Corporate Shrink and Thrival Company, shares the inside scoop about 25 years of behind-the-scenes leading, teaching, auditing, designing, coaching and engineering solutions for Fortune 500 companies, private equity and venture capital firms, government agencies and not-for-profit organizations and how organizations master staying successful.